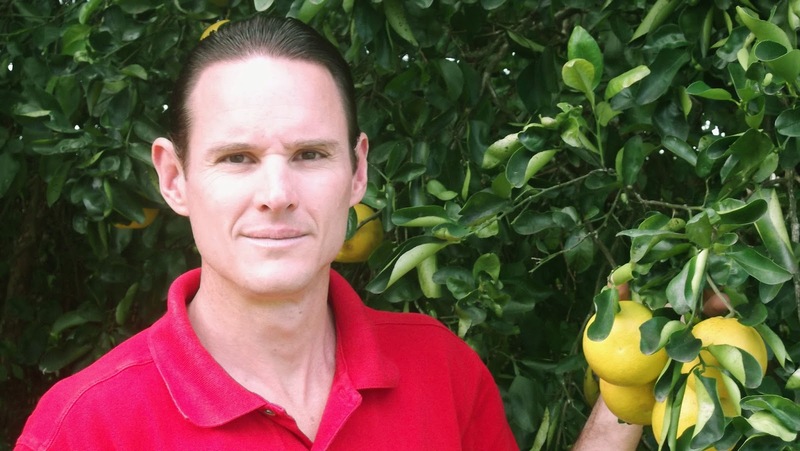 Guillaume Maurel has 15 years experience in the field of Sustainable Agriculture. He is an expert in Agronomy and Horticulture, specialization for which he possesses a Masters from University of Natal, Pietermaritzburg, South Africa. He has directed his savoir-faire towards biology-driven sustainable production systems, while he has invested in the development of import channels and distribution of environment-friendly inputs for sustainable agriculture in Mauritius. He is the Managing Director at Animaterra Co Ltd in Mauritius, a company that promotes sustainable alternatives to agriculture. As Guillaume has an expertise on the whole chain of food crop production, from variety selection to production techniques, resource management, postharvest management, quality control and marketing, he shares with us his deep wisdom & experience. What is your vision behind Animaterra? I studied agriculture at university in South Africa, where like at any other university worldwide, they teach only the conventional chemical way of farming. However, during the curriculum we also covered the great numbers of microorganisms present in the soil, the numerous biochemical pathways involved in the synthesis of the various molecules necessary for organisms to live, and the diverse requirements for these organisms to thrive and contribute to the complex life-creating system of Nature. There was a blatant discordance between the balance and equilibrium of this exceptionally complex and powerful natural system and the very extremist and limited vision behind the chemical farming system, according to which only 3 chemical elements (NPK) and a handful of toxic herbicides and pesticides will make agriculture successful. I never really believed the chemical system I had been taught about was the right way, so I looked for better alternatives. I have been on that road of discovery for 15 very enjoyable years now. Sustainable agriculture is a very simple principle, but at the same time a very complex system, as there are so many components to it. Everything is inter-related, in the same way as all the species and systems are inter-connected in Nature. One never stops to learn : one only gets a deeper and deeper understanding of this amazing, unlimited system. A sustainable agriculture system is one that respects and utilizes biological systems and species Nature has created, thereby reducing the need for chemical fertilizers, herbicides and pesticides in agricultural production.When I came back from my studies in South Africa in 1998, I started working for a company producing vegetables using soil-less hydroponics systems in greenhouses. 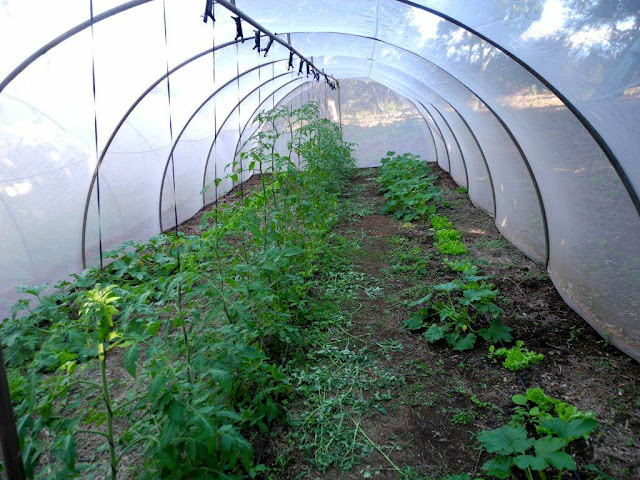 The plants were grown under greenhouse structures with insect nettings as physical barriers to insects and other pests. The plants were cultivated not in soil but in raised channels filled with some artificial growing media as anchorage for the roots. The plants were fertilized with a man-made mix of chemical fertilizers, and repeatedly sprayed with a long list of fungicides and insecticides so that the plant could keep producing for as long as possible. This was as far as one could be from Nature - it was as if man thought he could build a production system better than Nature could. Anything alive in the production zone (microbe, fungus, insect, etc.) was seen as a lethal enemy, and the production system was kept as sterile (void of life) as possible, using all sorts of disinfection chemicals, pesticides and UV filters. Needless to say, the plants in this production system could reach yield levels superior to similar plants grown ‘the old fashioned way’ outdoors, in soil, and using no toxic chemical inputs. Which brings us to what probably is the most fundamental question about agriculture: what was agriculture originally created for? If one was to hypothesize that agriculture is about feeding the world, one would find it very difficult to understand the direction taken by agriculture since the ‘Green Revolution’ of the 1950s, when the chemical fertilizers were first released. The traditional small family farm system, based on recycling organic wastes, biodiversity and closeness to Nature was replaced by larger and larger conglomerate farms relying on mechanization, farm chemicals and the dream of dominating Nature. For thousands of years, the world’s soils had been respected by their caretakers, generations of genuine farmers, living in small farmsteads, on the land they cultivated, living with Nature, respecting it, understanding its principles, and using them to produce crops that would nourish themselves, their families and their customers. Then we got to a point in our history when a bunch of scientists, backed by wealthy industrialists, came up with the invention of chemical fertilizers. These are very concentrated forms of 3 of the chemical elements farmers had until then derived from composting their farm manures, natural deposits, etc. These chemical fertilizers showed tremendous yield increases all over the world, and their high concentration meant more ease for the farmers, who did not need large volumes of compost anymore. It was a huge simplification for them. A farmer using this system could farm a lot more land than he did before, as he only had to buy more truckloads of concentrated fertilizers to fertilize his ever growing farm, and reap the benefits. Small farms grown the organic way rapidly gave way to ever larger farms, run with more and more chemicals, and focusing only on increasing the quantity of crop produced. Business took over the farming industry, and the link with Mother Nature was soon a thing of the past. Monocultures started to become the norm, and crop biodiversity and its pest- and pathogen-controlling effects were gone. The vast expanses of single crop were soon hit with ever-increasing disease and pest problems, as the natural equilibrium of soil fertility and predator-and-prey relationships maintained for centuries was destroyed. The same companies who were flooding the farms with the chemical fertilizers that had caused the pest problem saw this as another golden opportunity: they had created the new, very lucrative business of pesticides. At the same time, the farms becoming larger and larger, the farmers could not devote too much time to the task of physical weeding. With the same desire to ‘facilitate the farmer’s life’, these same companies also offered to the farmer various toxic chemicals to kill the weeds in their fields: the herbicides were born. What a good business was created by the introduction of chemical fertilizers and the subsequent drastic change in farming mentality! The fact that these chemicals did not only kill the pathogens, insects and weeds they were created to control did not stand in the way of ‘development’. Producing more yield was seen as the only priority. But a very small group of people understood that more is not always better, and started reflecting on the concept of ‘food’. Is food just something we need to eat in order to fill up our stomach and not feel hungry anymore? Or is food supposed to play another role as well? The human body is a living organism, which needs to be properly nourished to remain in good health. Properly nourished does not only mean having a full stomach. A full stomach of water will not feed the body. The nutritional content of the food is therefore a crucial aspect of human health. Another very important consideration is the toxicity of the food. Quantity of food is a much less significant factor, especially when considering the toxicity aspect: will you be in better health if you eat more of a food that contains residues toxic for your body? When we consider the aspects of nutritional content and toxicity of food, we start to realize that the modern, chemical-based agricultural system, is rapidly leading Humanity to its doom. For the last 60 years or so, farmers have been adding only 3 nutrional elements (fertilizers) to their soils: N, P and K (nitrogen, phosphorus and potassium). These highly concentrated chemicals have destroyed most of the natural soil life that had been nurtured for thousands of years by the ‘old style’ farmers and their organic-based, lower-yield systems. These large quantities of these 3 elements have also disturbed the natural soil chemical equilibrium, which has negatively affected the soil’s physical properties, which in turn led to reduced soil biological diversity and population levels, reducing soil fertility year after year. And the 15 or more other minerals that are taken by the plants aside N, P and K have mostly not been replaced in the farmers’ chemical fertilization programs, leading to their low and un-balanced levels in today’s agricultural soils. These minerals, called micro-elements because they are needed in lower quantities than the macro-elements N, P and K, are nonetheless needed in adequate and balanced levels in the soil. This balance determines the strength of the soil’s biological workforce that is the backbone of a fertile soil and a nutrient-dense crops. It is this biological world that helps the plant take up the nutrients from the soil. Crops grown in soils depleted in minerals, can only get poor nutrition from the soil. These plants being malnourished, they are in weak health, and are more susceptible to disease and pests. And this poor plant nutrition is passed on down the food chain to humans. This decrease in nutritional content has been well understood by these companies that brought the chemical fertilizers to the world. However, instead of fixing the problem, they have seen it as a source to make more money: as your food does not contain the minerals they are supposed to contain anymore, when you have finished eating your meal, you take a tablet of multiminerals! Fixing the symptom is much more financially interesting than fixing the cause. Isn’t the world a perfect place? The more chemical fertilizers and pesticides/herbicides are used in agriculture, the more the soil is damaged, the less the foodcrop contains nutrition, the poorer the health of the consumers, and the bigger the market for pharmaceuticals to cure nutrition-related illnesses. Is it a coincidence that it is the same companies that produce the chemical fertilizers, pesticides, herbicides and pharmaceuticals? However, there is another aspect of the drama that the big corporations behind the worldwide food scandal have not found a solution to: the poisoning of our food by toxic pesticide and herbicide residues. If we could go back just 60 or so years ago, before the onset of the ‘chemical experiment’ in agriculture, there was no toxic contamination of our food. Whatever food you could find was cultivated with organic inputs, in other words with inputs coming from Mother Nature instead of the human industry. These inputs were fundamentally different from the man-made ones in that they contained the whole spectrum of minerals, not just 3 elements, all in the balance Nature needed them to be. These inputs improved the soil fertility year after year, and the soil biological activity which resulted from this approach ensured that the food was full of nutrition. And as the pesticides and herbicides were not yet available, the food was also free from toxic residue contamination. Animaterra was founded by myself and a good friend of mine, Mr. Philippe Le Vieux, to raise awareness of this situation, and offer viable alternatives to those farmers wanting their products to be a source of dense nutrition instead of a source of toxicity for their consumers. Farmers desiring to reconnect with Nature and use its awesome powers to produce better crops, instead of constantly seeing it as an enemy that needs to be combated using more and more chemicals. It all starts with a deep paradigm shift in the farmer’s mind. He/she needs to realize that his/her current actions are causing serious damage to the soils, water reserves, environment, and general human health across the planet. In addition, the farmer also needs to realize that the harm he/she is doing to the planet now is the inheritance he/she is leaving for the future generations. We are encouraging a system of agriculture based on natural equilibrium, developed at about the same time the chemical fertilizers appeared on the market in the 1950s. Far back then, when agriculture was just engaging on the chemical route, some wise men were offering a far healthier, sustainable option, but no one was to outweigh the mighty lobby behind the chemical fertilizer industry. William Albrecht was one of the leading soil agronomists of the time, and his published works stand testimony to his wisdom and understanding of the soil, microbes and plant interactions with regards nutritional content of food crops and ultimately human health. His efforts to develop a more ecological type of farming system were taken up after his death by Charles Walters, founder of the distinguished Acres USA organization. The same principles were taken forward in Australia by Graeme and Bryan Sait of Nutri-Tech Solutions. They combined the soil balancing principles with state-of-the-art analytical technology to offer their now world-famous Soil Therapy recommendations aimed at bringing farm soil back to its optimum fertility levels. They also developed an international 4-day course on Nutrition Farming to train farmers in these long-forgotten sustainable ecological farming principles. They also developed a range of some 300 nature-derived, balanced inputs to ensure the willing farmers could feed their soils and crops as precisely as possible, bringing back fertility to the soil and nutrition to the crops, while at the same time reducing the dependency on agricultural chemicals and therefore reducing the toxicity risk in the end product. Animaterra is proud to promote these principles in Mauritius, as the local distributor of NTS. We offer awareness talks, Nutrition Farming courses, and make available the necessary inputs to the farmers interested in implementing this system on their land. We started this most exhilarating adventure in 2010, and we have seen the most incredible results. Our biggest satisfaction is the evolution in the farmers’ attitudes, from doubtful at first, to surprised at the first results, to euphoric and passionate thereafter. You will note that I have not yet mentioned the latest infamy to date to come from the companies behind chemical agriculture, namely the GMOs (genetically modified organisms). This latest atrocity is probably capable on its own to annihilate the future of humanity, but is a different threat to the ones being discussed here. It is not directly related to killing the soil, but certainly is a major contributor to the reduction of food nutrition content. Each individual organism has a genome, a set of genes containing all the information that allows the organism to develop into what Nature has intended for it. Plants have a set of genes that allow their seeds to germinate, create root systems, stems, branches, leaves, flowers, and eventually fruits that will contain seeds and ensure the perpetuation of the species. There is a certain amount of space on the genome, similar to the amount of space on a CD. If you have space to write 15 songs only, you can’ t write 16 songs on the CD. If you want to add a new song, you need to delete one of the 15 others first. Similarly, on the plant genome, there is the space for putting a limited amount of information – exactly the amount of information the plant needs to perform as Nature intended to. In the last decades, scientists using brand new techniques have been able to modify this most sacred of codes. They have taken the right to delete some genes (information leading to the expression of a quality in the plant) and to replace them with new genes that allowed the plant to do un-natural things. For example genes have been inserted into plants to enable them to be resistant to some herbicides. Other genes have been inserted to allow the plants to produce toxins that would reduce some form of pest damage. 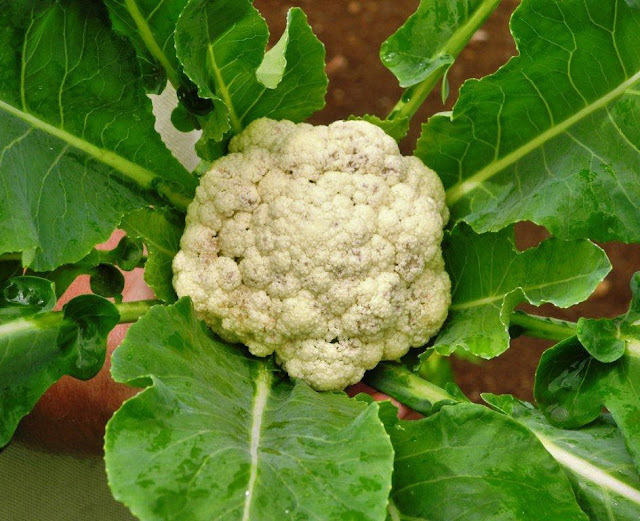 Other genes have been inserted so that the plant’s pollen would be sterile, thereby halting the plant’s ability to reproduce itself, so that the farmer would need to buy new seeds from the company having developed this plant every season. More and more space on the genome is being dedicated to giving the plant the ability to resist the chemicals sprayed on it, or to produce these chemicals itself. As space on the genome is limited, something has to make space for them. Taste and nutritional content are usually the first to suffer. The problem of GMOs is three-fold. First, the farmers are becoming completely dependent on these seed/fertilizer/herbicide/pesticide companies. Secondly, these genes that have been added are absolutely un-natural in the plant, and are most likely producing other molecules which might be highly dangerous for human health, while the molecules that had been planned to be produced by the plants are not produced anymore or produced in lower quantities – we have entered a worldwide clinical trial where the whole human population has become the guinea pigs, without, as far as I am aware, asking anybody if they felt like being guinea pigs. Thirdly, these GMO plants when they flower pass on their modified genes to the environment. Numerous reports have been published of these GM genes being spread to native species. We may very well be sitting on the worst time bomb in human history. The decision of a few have put the future of all in jeopardy. With each flowering cycle, all these genetically modified plants are giving to the wind more and more of their un-natural pollen to disseminate all over the world. The time-proven species selected and bred by responsible farmers and botanists over the centuries are getting slowly but surely contaminated by these rogue genes, and it is a question of time before we lose this natural biodiversity so crucial to our survival. What do you consider a safe & sustainable way of cultivating the land? Safe and sustainable agriculture is a production system that respects the environment, including soil, water, air, biodiversity, and human health. A system that harms or destroys any of these is neither sustainable nor safe. Any action causes a reaction, sooner or later. When the action is wrong, it will have a negative impact on something at some point in time. The chemical system of agriculture showed wonderful results when it was first launched. This can be easily explained: the soil at the time was at its most fertile, after thousands of years of organic agriculture. With such fertile soil, the addition of the chemical fertilizers caused yields to increase significantly, to the great satisfaction of the farmers. However, the chemical fertilizers destroy the key factors of soil fertility: carbon content (organic matter or humus), chemical equilibrium and microbial soil life. After some time, the decrease in soil fertility started to outweigh the short-term benefits brought about by those chemicals. 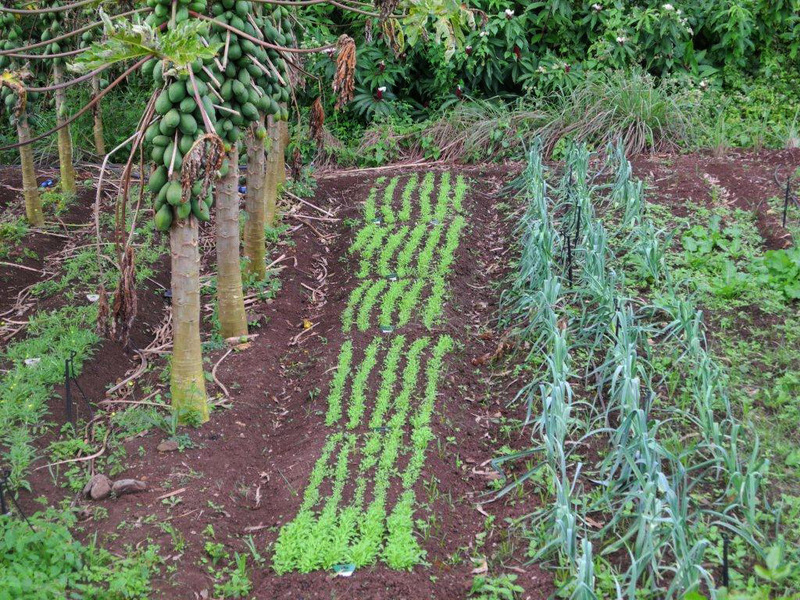 In Mauritius today, many cultivated lands now yield only half what they did before the advent of the chemical fertilizers, despite significant improvements in agricultural technology since. It is clear that very soon the farmers persevering with the chemical model of farming will find themselves in dire situations. The price of chemical fertilizers will not fall with peak oil expected between now and 2020. Soil fertility will also carry on decreasing the more these chemicals will be used, leading to a double whammy of considerable proportion. Another very serious consideration is climate change and the debate about the introduction of carbon tax for carbon dioxide producers. Chemical agriculture is the biggest contributor to atmospheric CO2, well ahead of industry, transport and the other commonly-accused CO2 emitters. And it is not the agricultural operations themselves that release so much CO2: it is the agro-chemicals that destroy the soil carbon (humus) and release this carbon in the atmosphere. The very same chemicals that are killing our soils and poisoning our food are also the main cause behind global warming. Carbon is not created nor destroyed – there has always been and there will always be the same amount of carbon on our planet. Carbon just moves between 3 main sinks: the soil (by far the largest sink), the biomass (plants, animals, humans), and the atmosphere. There are a number of scientifically-solid studies that show that the only way available to humankind today to reverse global warming before the global warming reaches disastrous proportions (within 20 years) is through a fundamental change in agricultural practices. Only agriculture has the means to solve the global warming threat. The other proposed solutions won’t have enough impact fast enough to avoid disaster. And fixing global warming through safe and sustainable agriculture would not cost more money than pursuing the current chemical system. And very importantly, yields would not fall. It would simply involve reducing the amount of agrochemicals used, re-balancing the soil with the elements we have been removing without replacing these last 60 years, boosting the soil organic matter content (soil carbon) and its microorganisms population levels, and feeding the plant with precisely what it needs (precision fertilization offering the plant the whole suite of elements it needs, in the balance needed). Using less chemicals would allow the farmer to build his soil carbon level (remove CO2 from the atmosphere and fix it in the soil as humus) instead of the opposite happening (chemical fertilizers cause the destruction of humus (soil carbon) + destruction of microbes (which are mainly made up of carbon), releasing this carbon as CO2 in the atmosphere). Higher levels of soil carbon in the soil would allow for higher microbial populations in the soil. Higher populations of microorganisms would allow the plant to get better nutrition from the (now re-balanced) soil. A properly-nourished plant would be less susceptible to disease and pest attack. A properly nourished plant would also pass on this dense nutrition down the food chain to humans. Properly fed human bodies would be less susceptible to degenerative diseases and ailments that are becoming such a plague nowadays. How can productivity and promotion of human health work together? It all depends what you term ‘productive’. Is the farmer producing 2 tons of nutrition-poor, toxic tomatoes per unit area more productive than the farmer producing 1 ton of nutrient-dense, non-toxic tomatoes over the same unit area? It all relates to what people are ready to pay for what they get. There is a very high value to an agricultural product that will bring the consumer all the minerals, vitamins, enzymes etc his/her body needs. Producing tons of toxic, nutrition-poor crops should have no meaning and no value. 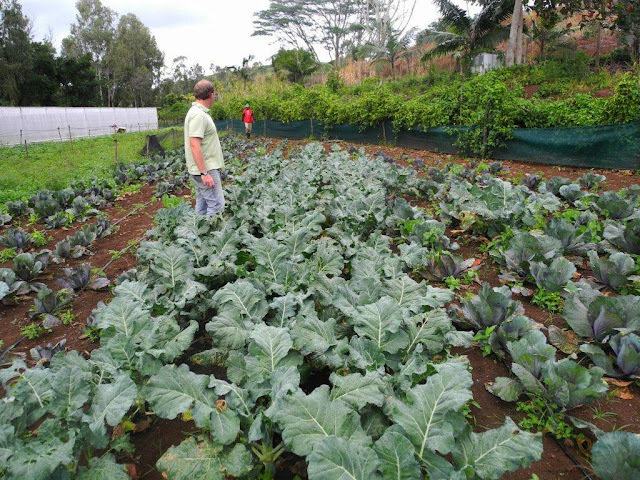 We are witnessing here in Mauritius yields higher than with the chemical system using the NTS Nutrition Farming system, and there are numerous reports of similar occurrences all over the world where farmers are respecting Nature and nurturing their soils and plants instead of keeping spraying them with toxic chemicals. The idea of productivity, together with the idea of facility, were the main selling arguments of the chemical fertilizer companies to get the famers to join their production system. After 60 years of this system, I do not know any chemical farmer who is finding farming easy, and happy about his productivity. And I am not even talking about the farmer’s satisfaction and pride of producing a healthy end product. There is no doubt that soil health, plant health and human health are very deeply related. There is an excellent website that boasts a wide selection of works on the subject for those who want to get more familiar with it. Visit http://www.soilandhealth.org/. Productivity (quantity) in chemical systems is falling every year, and quality is a concept most seem to have forgotten, or have a very surprising relation to. On the other hand, in more ecological-based systems like the Nutrition Farming system, productivity sees no drop when the farmer decides to move to it from chemical farming, and once the system in place, productivity increases year after year. Obviously, the system being Nature-based, this productivity will not increase indefinitely, but will increase till the optimal natural productivity of the soil is reached. In short, producing better, more nutritious, less toxic crops does not mean falling productivity. In most cases it is even the opposite. However, sustainable farming does not mean organic farming. Organic farming certification requirements are a long list of ‘you must not do this', without any ‘you must do this’. You must not use any chemicals, but nothing tells you that you must use a complete nutrition programme for your crop, and how to do that. So organic farming is good in that you get products free from toxic contamination, but you are in no way assured of having a nutrition-dense product. A number of studies have even shown that crops from conventional chemical agriculture were found to be more nutritious than similar crops from organic farms. And one additional shortfall of pure organic agriculture is a drop in productivity. The Nutrition Farming system accepts some low levels of chemical fertilizers, however stabilized using high quality humates, and pesticides as last management resort when all else has failed. However, it ensures that the crop is full of nutrition, and has very low (if at all) levels of toxic residues. In this system, there is also no drop in productivity. How do you find the response of people in Mauritius? We have been going for only 3 years now, and despite the great resistance to change, we are starting to see more and more farmers convert to the system now, as results from the pioneer farmers are becoming available. Most farmers are happy to sit back and wait for others to ‘take the risk’ with a new system. But once they see that their neighbours are doing better than them year after year, the idea of risk relates more to their own chemical agricultural system. We are sad to see that until now the agriculture-related governmental institutions are not taking a very active role in developing the awareness and information channels about low-chemical, sustainable approaches, and are still recommending the local farmers to rely ever more heavily on toxic chemicals. With one of the highest rates of cancer, diabetes and degenerative illnesses in the world, and a territory limited to 1,800 square kilometers in the middle of the Indian Ocean, we are in a very precarious situation. There is a report by a neighbouring country receiving many Mauritians for cancer treatment that through blood analysis they can tell the patient is from Mauritius, just by the amount of toxic residues in the blood, and these residues have been linked to agro-chemicals. It is also a pity that the local training institutions are still teaching their agriculture students the conventional chemical agricultural system, even though there are so many signs of its unworthiness. 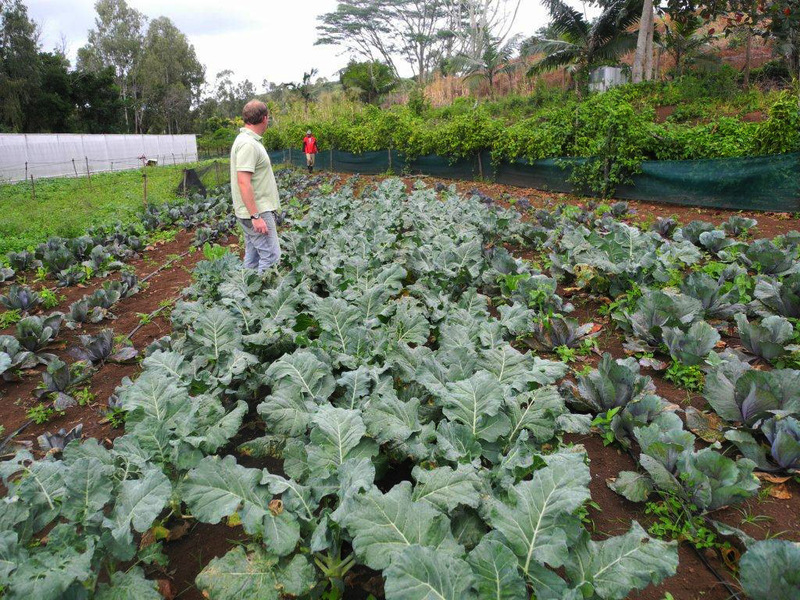 There are very few young farmers in Mauritius, the vast majority of farmers being aged 50 or above. We are going to face very serious issues in terms of food security in the years ahead, and with the intense dependency on toxic agrochemicals of the actual system, it is very unlikely we will be able to get the youth interested in this most critical of activities. We recently started a cooperation programme with the local Brahma Kumaris office, where we have animated a few talks about the principles of Sustainable Agriculture, the links between nutrition of soil and plant and human health, and how to achieve this high level of nutrition. We are awaiting the visit to Mauritius in mid-August of BK brothers from India specialized in Yogic Farming, to enlighten us on this most interesting concept. We have focused so far on satisfying the chemical and physical needs of the soil, microbes and plants, but we have not entered the energy dimension. We have no doubt that precision feeding of soil and plant, coupled with positive thoughts and energies directed by meditation to the good development of the crop will prove a most successful combination. More and more people nowadays are aware of the health risks linked to poor nutrition. Very many people, especially young people, also know how toxic the common agriculture system has become, and very few of them want to venture in such a toxic-chemicals-based production system. Animaterra is putting a lot of emphasis in transmitting to farmers, their children and the potential next generation of farmers the knowledge that successful agriculture is not about chemicals. The people need to regain control of agriculture, and regain control of their health, if any of the other sectors of the economy are to stand a chance to survive. A sick population is a terrible burden for any country, and fixing the symptoms will not resolve the crisis: we need to fix the root cause. We need to fix the way we produce our food. We need to fix our agricultural system.